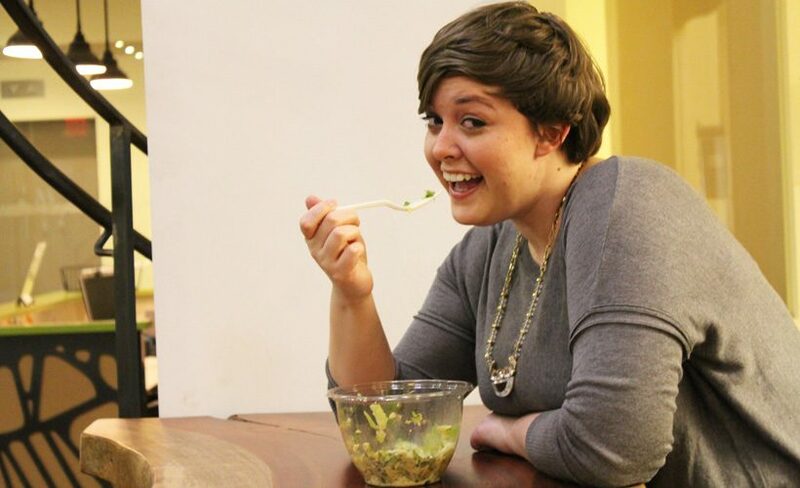 Did you know that any food combined in a bowl is technically a salad? It’s true! As long as one person says that something is a salad, then it’s gotta be a salad, right? With that in mind, here are some salads I made up! They are salads because I say they’re salads and now they’re published on the internet as salads, so they are salads! This is a salad made of things you would normally find in a salad. 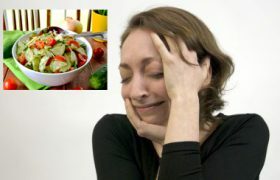 For example: lettuce, olives, cucumber, tomato, and onion all mixed up in a bowl. What a nice, regular salad that would be! 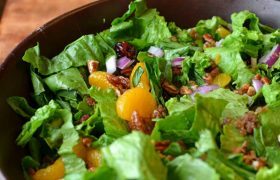 You can also make a regular salad with any combination of those ingredients, none of those ingredients, or completely new ingredients. No rules! Go crazy! I just made this salad up! Pop rocks are fun, but it can be tricky to find a judgment-free zone where adults can eat them without shame. 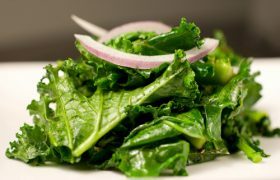 With the Pop Rocks Salad, you can enjoy all the fun of Pop Rocks sprinkled on a respectable bed of ripped-up kale leaves. A super good salad for anyone to try. Yum! The Blanket Salad is less of a salad and more of a cute thing my boyfriend says about the way his blankets always get all tangled up at our feet when I stay at his place. I love my boyfriend! This is a salad that is really just a taco. There are also taco salads that are like the ingredients of a taco but in a bowl that’s also made of taco? I don’t know. Mine is just a taco, but it’s equally a salad. Step 1: Put some leafy greens in a bowl. It doesn’t matter which ones you choose—you’ll see why! Step 3: Have a friend blindfold you. Step 4: Now, taste each salad. See if you can tell which lettuce has Coke on it and which has Pepsi. Bet you can’t! Ha ha, salads! This is a regular salad but you make it while you’re sad. Wowee! That was easy! You see, with a little creativity anything be a salad and you can finally achieve your dream of eating lots of tasty salads! Mmm.